All albums purchased through Nimbit include shipping cost. Check out American Apparel T-Shirts below from Jason's third record, A Plea For Dreamland. 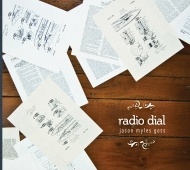 Click here to order a copy of Jason's new album, Radio Dial. 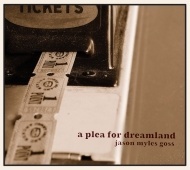 Click here to order a copy of Jason's third album, A Plea For Dreamland. Click HERE for more info on Dreamland, a live EP of songs that later appeared on Jason's third album, A Plea For Dreamland. Available in digital formats only. 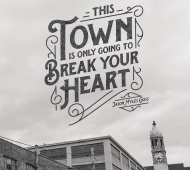 Click here to order a copy of Jason's debut album. Long Way Down was recorded in MA in the Fall of 2001 and the Spring of 2002. Get your own A Plea For Dreamland T-Shirt. Click HERE for full product description. Get your own A Plea For Dreamland T-Shirt Click HERE for full product description. Get a hard copy of A Plea For Dreamland along with your favorite album shirt for only $22.50 (plus tax and shipping). Click HERE for details. Radio Dial T Shirts are now available in all sizes. All shirts American Apparel. Click HERE for full product description.